The three biggest fish I have ever caught, have been caught with single hook baits. There have been occasions when I have put out large beds of bait, the odd big fish turns up. But most of the time for me, the big fish are caught when I am fishing single hook baits close in or casting a single hook bait to showing fish. Now, I believe there is a reason behind this, which we will talk about in a moment, but the next time you are fishing, give it a try as it really does work. It goes against all of what the famous anglers are trying to teach us, but if I was being sponsored by a bait company, or owned shares in a large bait company, it would be in my favour to tell you to do the same and put lots of bait into the water each time you go fishing. But you are effectively throwing your hard earned cash into the lake, and you won’t ever get it back. But, having the top anglers telling the less experienced anglers to use lots of bait also works to our advantage. Anglers like me, like to do things slightly differently other than just follow what the latest free DVD says. When the DVD’s are published, there is a sudden rush for a certain type of rig, or the latest bait that has been featured. You need to remember that these are all marketing tactics to sell more products! Don’t fall for them! Don’t get me wrong, the DVD’s are useful, they can give away great information about a certain method of fishing, they can also be useful for helping beginners. But most of the time, going out and buying everything featured on the DVD won’t help you catch more fish. The same goes with other sports too. Tiger Woods isn’t a great golfer because he uses the most expensive clubs. He is a great golfer because of the amount of hours he spends actually playing golf. The same goes with Mike Tyson, it wasn’t because he was wearing a certain type of special socks. It was because he spent years and years of training every day until it became natural to him. And yes, granted, these two examples have gone down hill in recent years, but that’s because they haven’t been practising as much as they used to, they don’t put as much time into the sport anymore, so they are no longer at the top of their particular sport. It’s about putting in the time, and tweaking things to see what works, not constantly starting over again by picking a different rig, just because another angler tells you to. Anyways! On to single hook baits. And why you shouldn’t listen to the marketing DVD’s. Due to the way carp fishing has become hugely popular in the last ten years, every day ticket lake gets bombarded with bait. Most anglers will pile in the boilies, but quite a lot of particle bait too. It’s natural for new anglers to think that if you put out a load of bait, the fish will find it when they are swimming around, eat the bait and eventually find your hook, bingo, you’ve caught a fish. They then make the huge mistake of putting in more bait because they haven’t had a bite, and think that putting more bait in will help. It wont. But since this happens week on week at day ticket fisheries, this method is not effective anymore. Typically all that happens, is the fish will shy away from the bait and you will catch nothing. Instead, the angler that has practiced his watercraft, put together a small tempting parcel of food, pinpointed a certain area where the carp are holding up, is the angler that you will see catching consistently. He is the guy opposite you on the lake that you have seen on a lot of venues, leaving you wondering what you are doing wrong. He is the guy that leads you to believe, that you’ve just picked the wrong swim, and that’s the reason you aren’t catching anything. Big beds of bait just doesn’t work anymore. Where Is The Best Place To Catch Carp? 80% of anglers wouldn’t know the answer to this. They would say, tight to an island, or cast at the bubblers, they may even tell you to cast to the lily pads. But, they are wrong in my opinion. Yes, these are good places to catch carp, but the certainly aren’t the BEST place to catch carp. On a lake I use to fish, a lake I used to really struggle catching on in fact, I learned a very valuable lesson, one that has stuck with me ever since and I use till this day. Don’t worry, I’ll reveal why single hook baits are the best method of catching big fish shortly, just hang in there. I used to fish a certainly lake on a regular basis, because the lake was stunning. It was also just a really nice and peaceful place to fish. When it comes to fishing, catching the fish is a great experience, but only part of the experience. The reason I love carp fishing is because it forces me to relax. To forget about everything else, to shut off from the phone, from work, and to just relax. So, I found this stunning lake and started a new campaign. For that season, I would only fish that lake. I would spend all of my time and effort, working out how the lake ticks, how the fish feed, what areas they hold up in during particular types of weather. I was fishing on this particular lake most weekends, for 48-hour sessions, and watching the lake for the whole time I was there. All of my concentration was on the lake, and not on technology, magazines, or being social. But I still could not catch any fish. I tried lots of different rigs to see if one was better than the other, I changed the bait on a regular basis to find what worked and what didn’t, but no matter what I tried, nothing worked. I blanked over and over again. I just could not figure out what I was doing wrong. And the thing is, I wasn’t new to the sport. I had caught lots of fish elsewhere, and a lot where big fish too, but on this particular lake, I just couldn’t figure it out. The funniest part of all of this was that it was only a small lake, of about an acre. An overstocked, acre lake, about 30 yards to the other bank, you could only fish from one side of the bank, which should have made it easier to catch, but after months of blanking, still nothing. I started to get frustrated. I use to watch what other anglers did too, but they were equally as unlucky as me. Perhaps it was just a hard lake? There were big fish in the lake, but a fair few small ones too. Then, one evening as I was wandering around the lake, I saw a lot of fizzing in one of the swims, close to the bank, only one rod length out. So I grabbed my rod, I didn’t have time to make up a PVA bag or anything. I lowered the single hook bait into the margin and it tore off within seconds. In that lucky moment, I found out how to catch the fish. They were feeding on the single hook baits that anglers would throw into the margin when they changed their bait. Over the years, they had learned to be weary of the big piles of bait, but what they also learned was that the single baits in the margins were safe. I tried this trick on other lakes too, and it really does work. Don’t over complicate your rigs. Sharp hooks on a simple rig will hook the fish. You only need a small lead because the fish will be so surprised, they will tear off away from the bank, setting the hook. Don’t be tempted to pile in the bait. Don’t be tempted to pour goo all over it. Just a simple, single hook bait, like you would throw in when changing your rig over. I have also used this method when watching big fish launch out of the water. Cast a single bait to the fish and you will likely catch it. 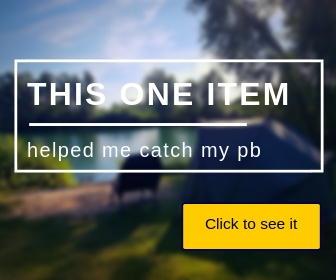 When using large beds of bait, you are lessening the chance of catching. Each bait you throw in, is giving the fish more food to eat before finding your bait. With single hook baits, a lot of the fish think they are safe, because single hook baits are rare these days, and they will home it on them, sucking in your hook in the process. Really enjoyed this article and is very much my preferred method too. I’ve set up my own Vlog now and this was going to be covered in my next video.